Who Will Thank the Heroes? For nearly twenty years, a crowd has gathered at Fort Benning in mid-November to protest against the activities of the Western Hemisphere Institute for Security Cooperation (formerly called the School of the Americas) and demand its closure. The annual event is more than just a protest. It is a gathering of the scattered fringes of the religious, political and cultural left who use the event as a platform to push ideas that range from drug legalization to abortion or even women’s ordination. Leftist Maryknoll Father Roy Bourgeois leads this gathering which includes a large collection of socialists, liberation theology advocates and anarchists. It is no surprise that the 71-year-old priest automatically incurred excommunication for openly opposing Church doctrine. For nearly twenty years, both he and his protesters have resisted the Army’s efforts to “dialogue.” They reject outright the Army’s unconditional offers to open its doors to any who wish to review the school’s operation. Nearly twenty years of protest calls to mind another twenty-year milestone – the fall of the Berlin Wall. In light of this commemoration, we offer some considerations. East German construction workers building the Berlin Wall, November 20th., 1961. On the twentieth anniversary of fall of the Berlin Wall, we might be tempted to think that the world’s great military dangers have passed. However, that is not the case. We still live in a world of violence and uncertainties. Our enemies are no longer concentrated behind an Iron Curtain but are scattered about the world in the form of radical groups and rogue nations all too willing to threaten the peace. With the fall of the Berlin Wall, one would hope that at least the outdated Marxist ideas that caused so much misery all over the world would be consigned to the dustbin of history. However, that is not the case. Guerrilla groups in Latin America like Colombia’s FARC still defend their outdated Marxist ideas through violence and bloodshed. There is still Stalinist North Korea, poverty-stricken Cuba and Communist China oppressing its people and trampling on human natural rights. There is Hugo Chavez’s Venezuela exporting his Bolivarian socialist revolution across Latin America – including the building of a nuclear program. Twenty years after the fall of the Berlin Wall, it would be hoped that the terrors of our age might also fall. However, that is not the case. Terror or the threat of terror lives as the tactic of choice among Islamic radicals who can be found in Iraq, Afghanistan, Pakistan, Sudan or Palestine. Iran’s mullahs stand ready to develop nuclear arms. Suicide bombers strike terror into whole nations and put fear into the hearts of thousands who might become the next innocent victims. Now more than ever, we need the soldier to keep the peace. We note, however, that it was not the pacifists that brought down the Berlin Wall. Theirs was a constant message of concession, “dialogue,” and defeat. When the terrible wall came crashing down, these Marxists were nowhere to be found to condemn the massive misery that lay exposed in those communist countries. They did not renounce their adherence to this system which they fought so hard to impose upon the West. We tend to forget that it was the soldier that helped bring about the fall of the Berlin Wall. The soldier took upon himself the thankless task of confronting evil by force of arms. It was the soldier that risked all to do his duty wherever he was called to go without hesitation or complaint. The American soldier and his counterparts all over the world stood down the Communist threat in Europe, Asia and Latin America. His services are no less needed in our days. Thus, we need to thank – not protest – these heroes who put their lives on the line. These heroes guarantee the peace. We live freely because they made the greatest of sacrifices – even that of life. We remember Medal of Honor heroes like Private First Class Ross A. McGinnis who distinguished himself by acts of gallantry and intrepidity above and beyond the call of duty when he threw himself upon a fragmentation grenade and saved four soldiers from certain serious injury or death in Iraq in December of 2006. 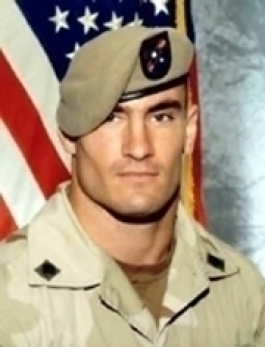 We remember Navy Seal Michael Monsoor, who likewise unselfishly gave his life, in order to save his fellow Seals on September 29, 2006. 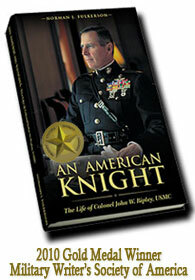 We can also remember heroes like the late Col. John W. Ripley whose heroism in Vietnam was legendary. These and so many more make up those legions of heroes that deserve not our scorn but our gratitude. There are those who protest against the soldier. They see his role as one buttressing structures of oppression and power. They are ready to label those who still fight against Marxism as murderers and assassins. They turn a blind eye to a ruthless enemy who breaks all rules and conventions as Marxists have always done. They would deny defenseless populations the training and tools needed to defend themselves against this enemy. In the case of the Western Hemisphere Institute for Security Cooperation, they ignore the fact that the overwhelming majority of its graduates have committed no crime save that of wanting to keep their country safe and free. They are prepared to amplify any alleged crime of a soldier to gigantic proportions while reducing to nothing the blatant abuses of Marxists in countries like Cuba, China, Nicaragua, and Venezuela. "Who will be there to defend them?" We ask those who protest: When the fury of the terrorists turns upon them, who will they appeal to? When their freedom is taken away with the same disregard as Colombia’s FARC guerrillas take the freedom of their innocent hostages, where will they turn? When their right to protest is met with bullets and tanks like that of Tiananmen Square, who will be there to defend them? They will turn to the soldier who defends even those who calumniate him. The American Society for the Defense of Tradition, Family and Property (TFP) calls upon the public to thank the heroes. Let us thank them for standing up to the Soviet menace that lurked behind the Berlin Wall that fell twenty years ago. Let us thank those who still fight and keep our nation safe and help other nations do likewise. Let us, of course, censor any abuses, but let us also be consistent and condemn the systemic and widespread abuses that have come from Castro’s Cuba, the FARC guerillas and other leftist movements who still uphold the outdated and iniquitous Marxist ideologies that built the infamous Berlin Wall. As Americans, let us be proud of our heroes as they continue to fight and train others to defend their nations against those who threaten the peace. May God protect them and their families in their daily battles around the world.